This book contains the Tantratattva of Shriyukta Shiva Chandra Vidyarnava Bhattacharyya Mahodaya. The work here translated is that on an Indian mind unaffected by western thought. Apart from its intrinsic merits, it has such value as being the record of the views of an English educated Hindu, who finds in the conclusions of recent western science a corroboration of his ancient eastern beliefs. Its author modestly says: "I have attempted to give the reader the result of a general survey of the philosophy upon which Tantrik Sadhana, or self-culture, is based. But in so recondite and unfamiliar a subject, when the correctness of every individual interpretation may be called in question, the reader is requested to go himself to the source, and there, with faith and devotion, and under the guidance of a Guru, drink of its waters. This book is also known as "The Tantra-Tattva of Sriyukta Siva Chandra Vidyarnava Bhattacarya Mahodaya." It is the major source in English on the theory and practice of right-handed Tantra. Written in the 19 century by an Orthodox Hindu who himself practiced the disciplines of Tantra Shastra. 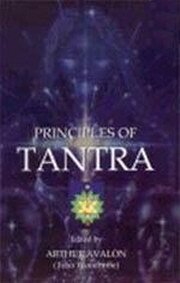 The book is a treatise on various aspects of the philosophy and practice of Tantra. It includes chapters on Tantric scriptures, ritualistic worship, the Guru, and Shakti. What is the necessity for the Tantras when there is the Veda? Worship of the five Devatas.